UK based DJ producer, co-founder of the CUBISM label with Mark Gwinnett ( aka Lunacy Sound Division ) and owner of several labels, including Moxi Records, Ambiosphere Recordings, New Era Recordings, Cubic Records, Progress Recordings, Shiva Records and Telepathy. Labels Tony has released with over the years include Soma Recordings, Rennaisance, Black Hole, Stereo Productions, End Recordings, Hooj Tunes, Loaded, Subliminal, Serious, Wave Recordings, Electrik Soul Recordings and the list goes on and on ! 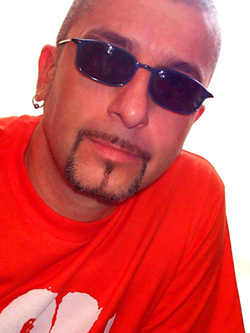 Partys and clubs Tony has played at around the world include PR Bulgaria, ZOUK clubs in KL and Singapore, Amnesia Ibiza, Dancevalley NL, Extrema NL, Chemistry NL, The End London, Fabric London,Turnmills London, Fabric Madrid, Shine Belfast, Rex Club Paris, Sullivan Room New York, Space Miami and many other prime global venues. The new Tony Thomas website is coming soon!